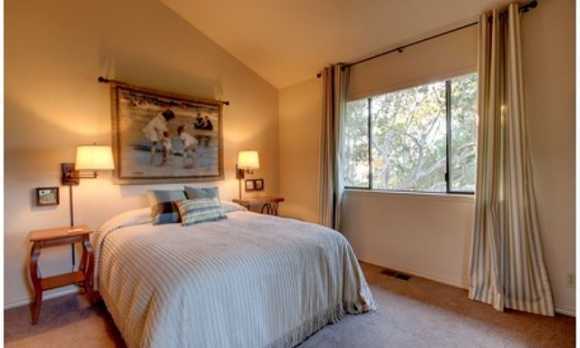 This spacious, clean and bright home is newly furnished and freshly painted. Two levels each have a bedroom and full bath; the master upstairs has a peek of the ocean. There is a private deck accessible from the kitchen or the mid-level bedroom, perfect for starlit nights and sunny mornings. There are chaise lounges and Adirondack chairs to rest on and enjoy a good book while your dog naps beside you. The backyard is enclosed and secure for your pet. 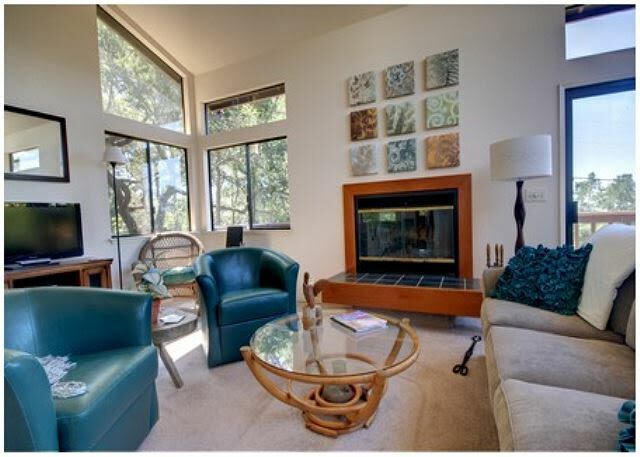 Get the feel of Cambria as you watch deer graze in the nearby forest. Description: A Skyhigh Retreat Vacation rental house. Sleeps 4, 2 bedrooms, 2 bathrooms. Dogs allowed. 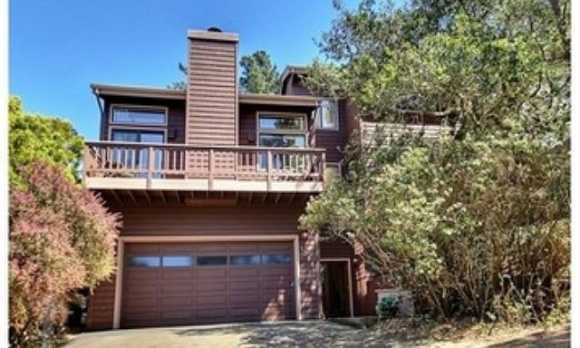 1386 Richard Cambria, CA 93428 Welcome to the Top of the World, with treetop views and peeks of the ocean. 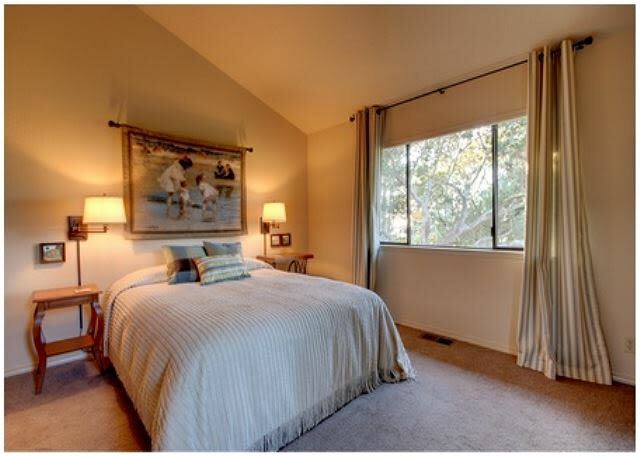 This spacious, clean and bright home is newly furnished and freshly painted. 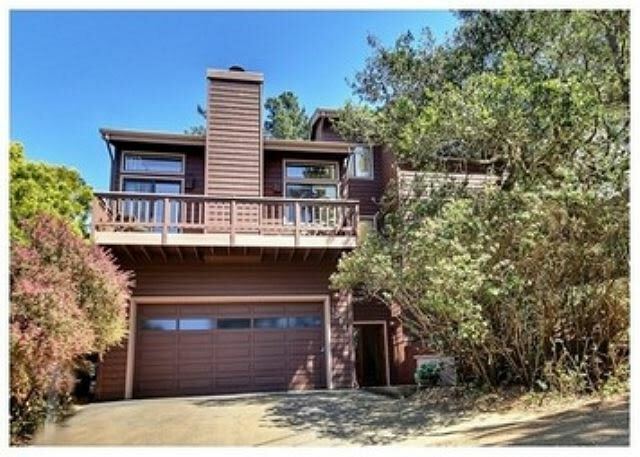 Two levels each with a bedroom and full bath, and the master upstairs has a peek of the ocean. 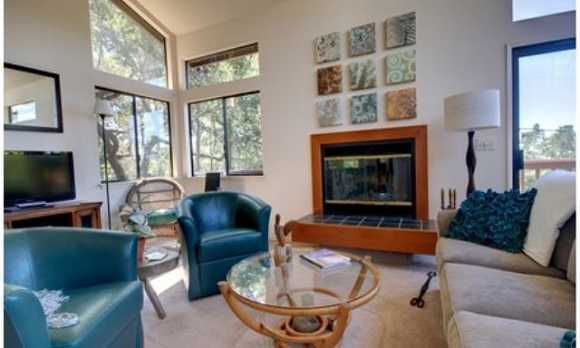 Cozy up to the wood-burning fireplace in the living room, or relax on the private deck that's accessible from the kitchen or the mid-level bedroom, perfect for starlit nights and sunny mornings. There are chaise lounges and Adirondack chairs to rest on and enjoy a good book, while your dog naps beside you. The back yard is enclosed and secure for your pet. The neighborhood is quiet, and beautiful to walk through. 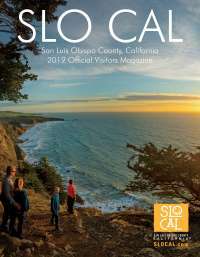 Get a feel of life in Cambria as you watch deer graze in the nearby forest. A retreat, indeed, awaits you! 2 Queen bed. TOT#0001165 **Pet fee $10 per night + refundable $500 security deposit due at check in.